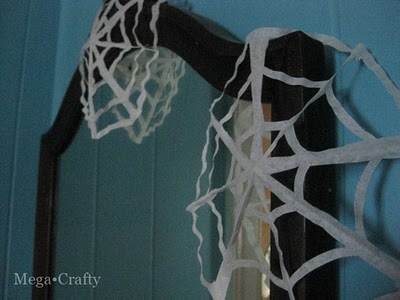 Spider webs are fun for Halloween decorations because they are spooky without being scary. Perfect for any age! So if you want to make a spider web banner here are a couple of ideas. 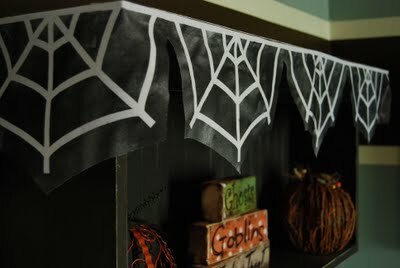 Burton Avenue has a great tutorial for a burlap spider web garland complete with a free template. 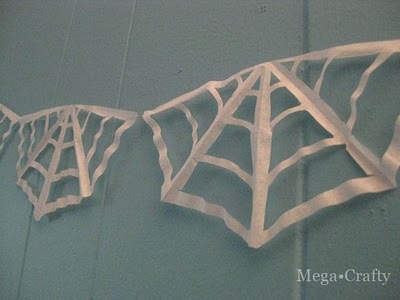 Megaspooky shows you how to turn coffee filters into paper spider webs that you can use for a banner or just to decorate the house. And if you happen to have doilies lying around, The Scrap Shoppe will show you how to term them into spider web bunting too.